Oh, jeez. The Don’t Even Trip Roadtrip, showcasing The Rickmobile will reach LA this summer, specifically July 26-29. Details on times and exact locations aren't up yet. 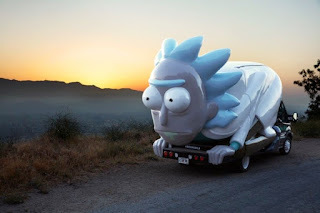 What is the The Rickmobile and Roadtrip about? Selling special merch you can only get from the truck and...well seeing Rick, from Rick and Morty as a car.